Building on the strength of RichmondPRA's work on inclusion of those with a lived experience, and RichmondPRA's strong relationships and networks with indigenous communities, RichmondPRA engaged Practical Visionaries to look at how we could help RichmondPRA embrace and harness the dynamism that diversity brings to their workforce and to the people and communities RichmondPRA works with. 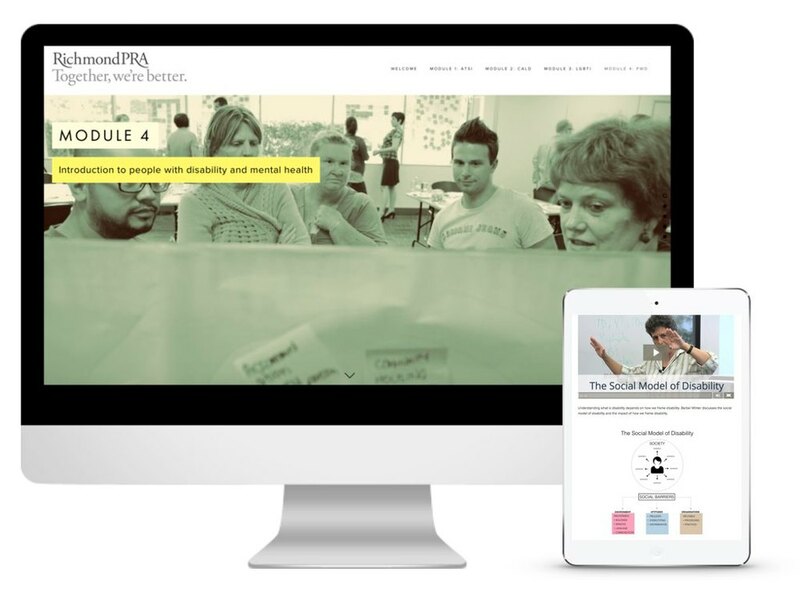 RichmondPRA has had a long history working to create a more inclusive world for people with a mental health issue or psychosocial disability. Through RichmondPRA's recovery orientated supports and resources, and social enterprises, RichmondPRA has been helping people to fulfil their hopes, dreams and aspirations. RichmondPRA was aware that, as it grows, ensuring that it is responsive to the diversity of people in the communities it serves would be one of the keys to its success into the future. 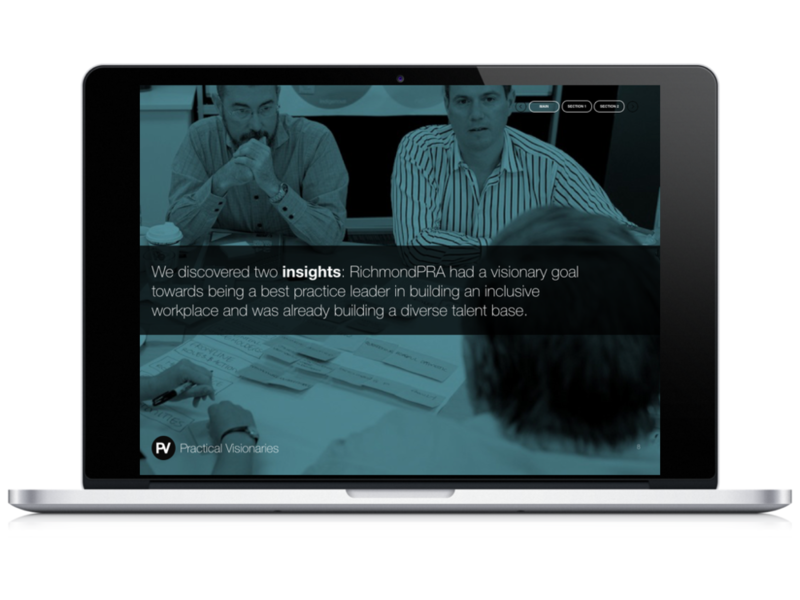 With the help of Practical Visionaries, RichmondPRA therefore sought to create a diversity strategy to support its journey towards becoming a more inclusive organisation. We began by asking how we might build on the rich histories and diverse expertise of RichmondPRA to design a diversity strategy that strengthened RichmondPRA, and opened new possibilities in a diverse world. 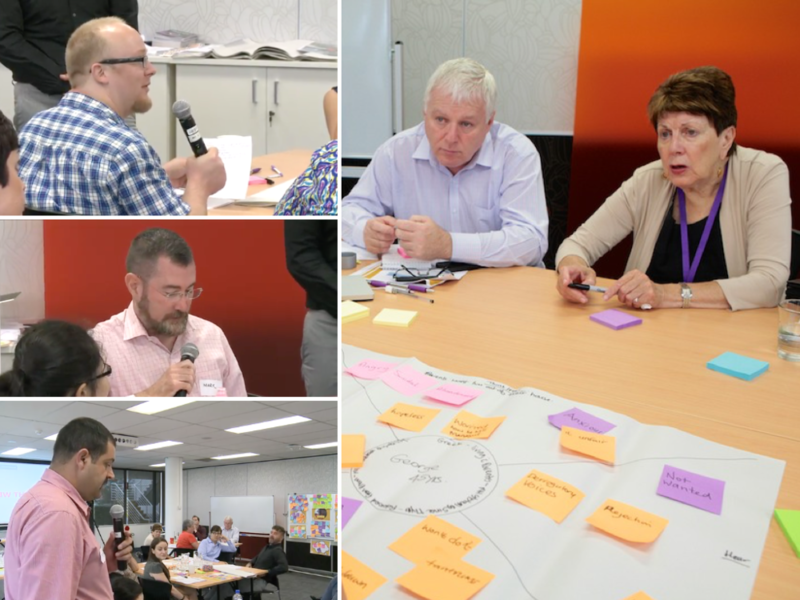 Our initial Rapid Needs Analysis uncovered key challenges that RichmondPRA faced as it evolved in a new service delivery landscape, but identified strengths and experience that could be built upon to design the strategy. We looked at how we could harness existing planning and reporting frameworks, and organisational structures within RichmondPRA, to support the integration of the strategy into its culture and practice. We created a Diversity Innovation Group from across the organisation to co-design the strategy and create ways to ensure sustainability and buy-in from across the organisation. So we designed strategies across those domains to maximise impact and work towards long-term sustainability. 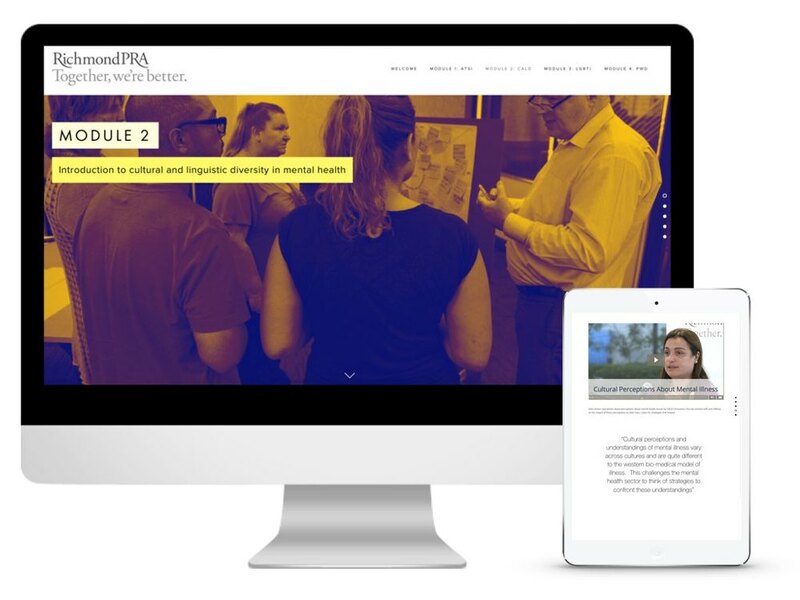 We created a multimedia, online Exploring Diversity Toolkit to support RichmondPRA's workforce with understanding how different aspects of diversity impact on service accessibility and responsiveness. 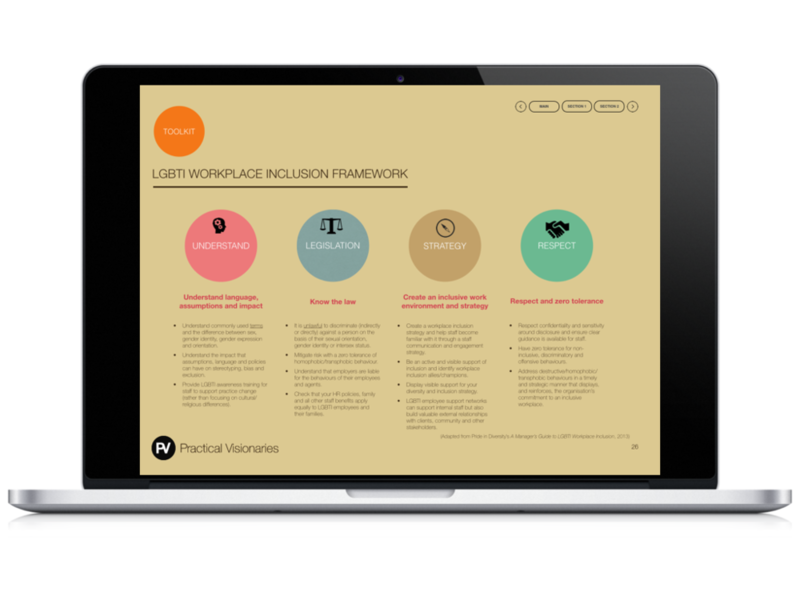 The toolkit also provides various resources and activities to help staff begin the journey towards designing services that enable full participation within a diverse and inclusive community. 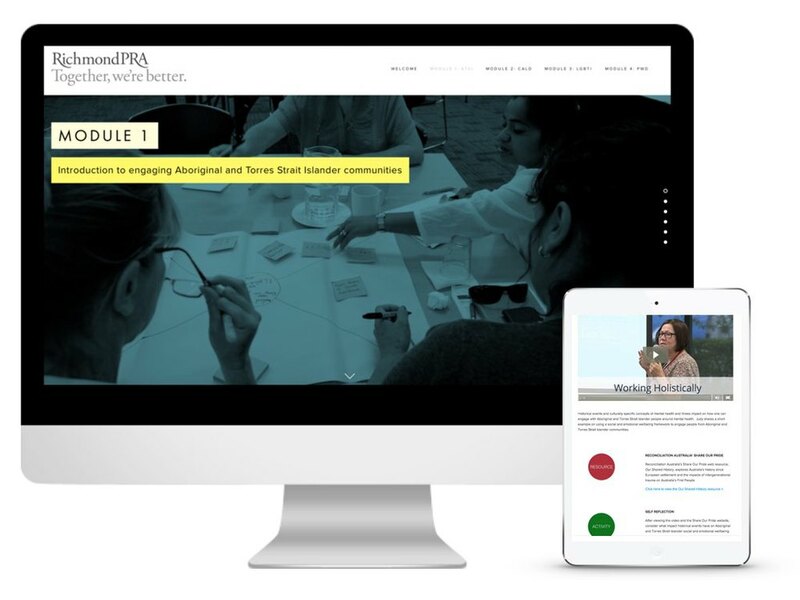 We created a toolkit for RichmondPRA to begin exploring how it can harness the capabilities of existing diverse staff and work towards building a diversity talent management strategy into the future. 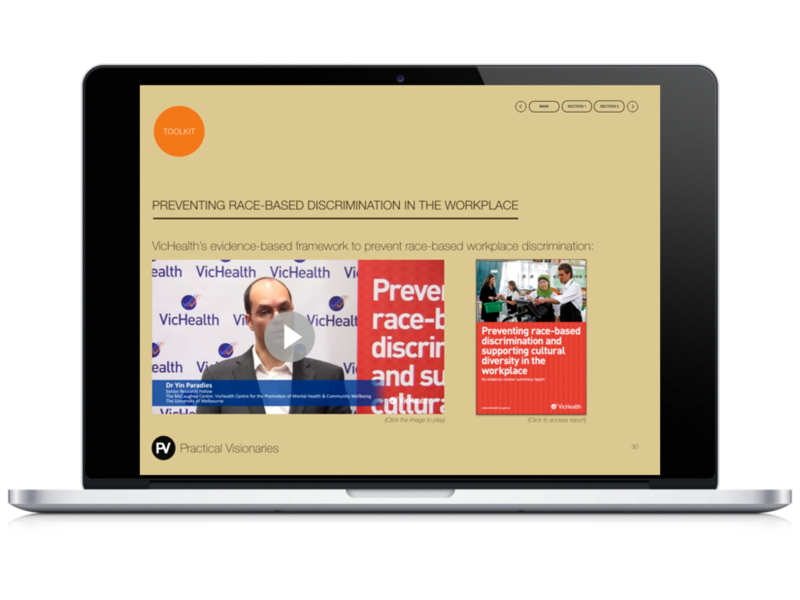 The toolkit introduces a range of resources, including the Diversity Council of Australia’s Capitalising on Culture resource and VicHealth’s Preventing Race-Based Discrimination in the Workplace resource. We created a diversity policy for RichmondPRA against key industry and sector benchmarks, legislation, and policy frameworks. 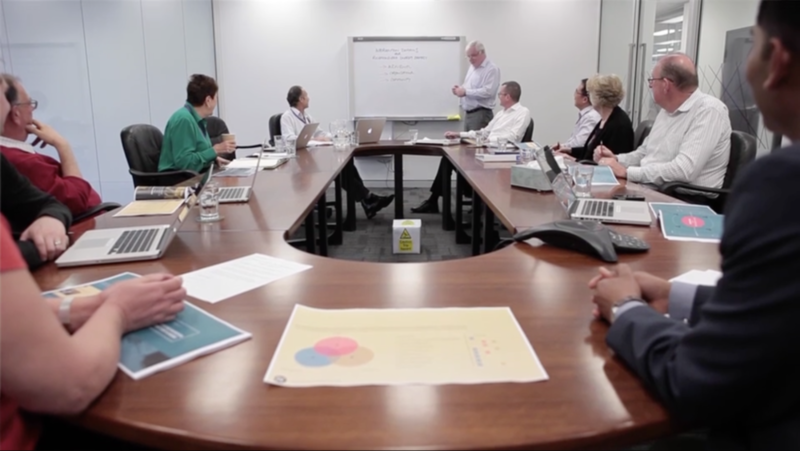 The policy provides a starting point and sets expectations of RichmondPRA's board, workforce and volunteers in relation to RichmondPRA's commitment to, and enactment of its diversity strategy. It also provides a guide for incorporating diversity reporting, planning and auditing within RichmondPRA's existing planning frameworks. Practical Visionaries assisted RichmondPRA to conduct self audits to measure RichmondPRA’s progress on the development and implementation of its diversity strategy by establishing benchmark metrics for planning. 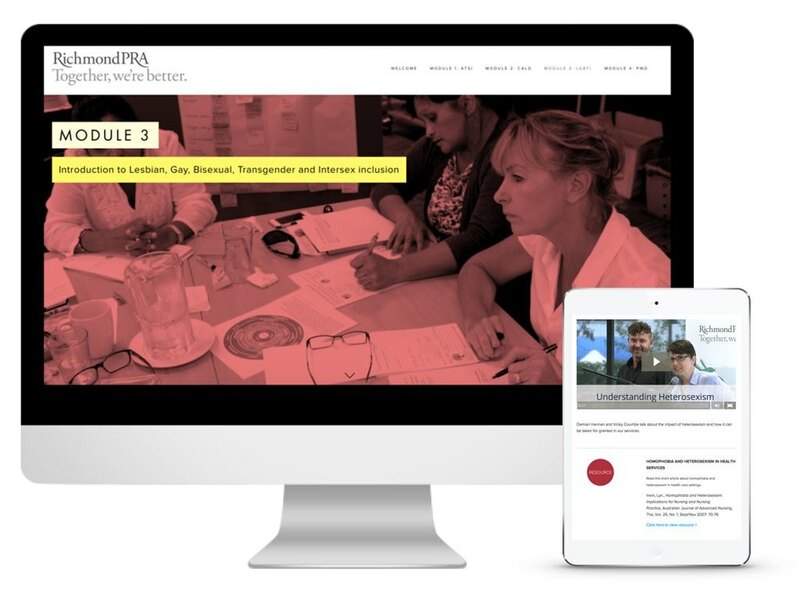 The audits were intended to kick start continued action with RichmondPRA’s diversity strategy, including the building of strategic relationships with key peak bodies and organisations that can support fulfilment of RichmondPRA’s diversity commitments. 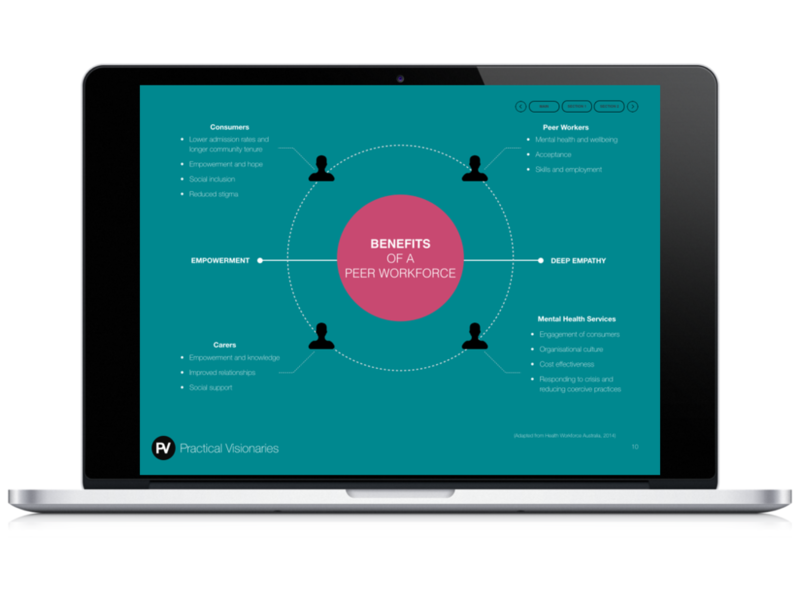 We also wanted to build the capacity of staff to connect with diverse communities, regardless of their skill levels, or confidence. We therefore focussed on helping staff to create practical and meaningful opportunities to connect, and importantly, to begin their first steps towards expanding possibilities in a diverse world. We also helped RichmondPRA build relationships with key agencies in the diversity sectors to support future partnership building. We brought together staff from across the organisation, from the CEO down to frontline staff, for Common Ground - a two-day diversity innovation workshop. Common Ground was an opportunity to begin exploring how diversity impacts on the delivery of services and how RichmondPRA can design services to be more inclusive to the people and communities it serves. Diversity Practice Innovation projects were undertaken by a range of teams from across the organisation. The projects were designed as a “bottom-up” approach to building staff capability to engage with diverse communities and highlighted that responsibility for the implementation of the strategy was across the organisation, regardless of position or role. 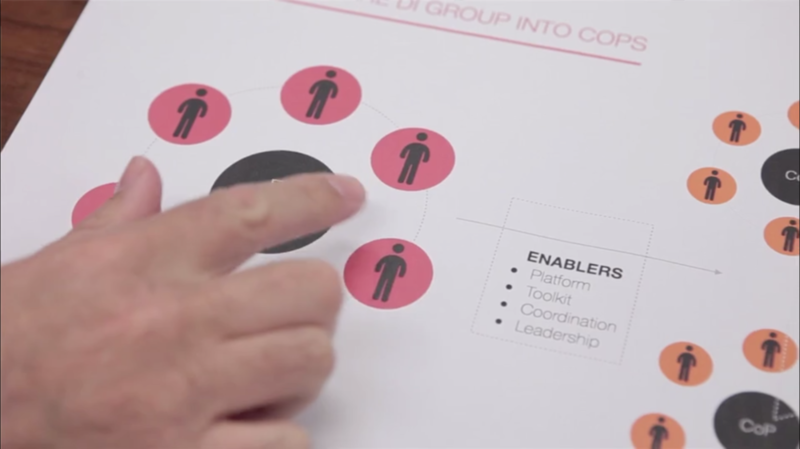 Practical Visionaries helped us create common ground across a range of diversity dimensions. This allowed staff to embrace the commonality that exists in all of us as human beings whilst still acknowledging each of our unique socio-political histories and experiences. 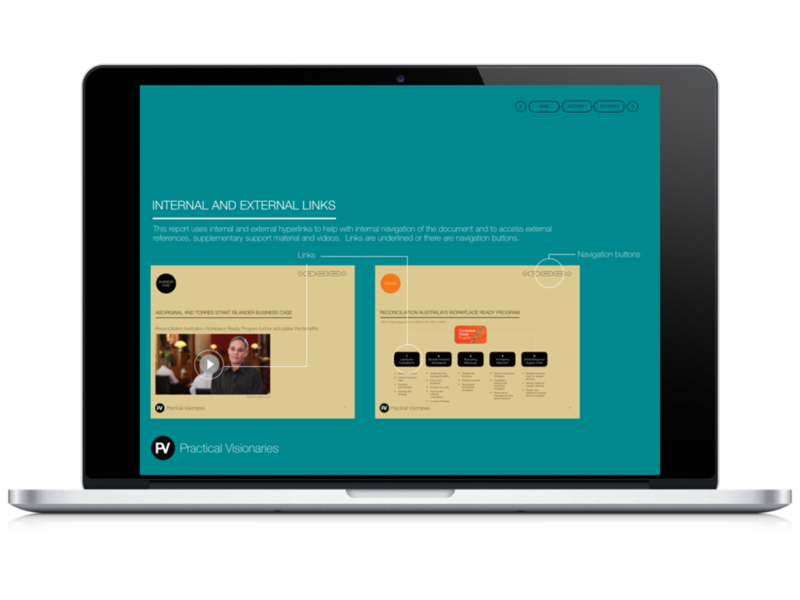 Practical Visionaries acknowledges the traditional owners of this land, their ancestors and elders, and are committed to reconciliation with Indigenous Australians through meaningful collaboration and partnership. We also acknowledge the Elders and in particular those visiting this website. 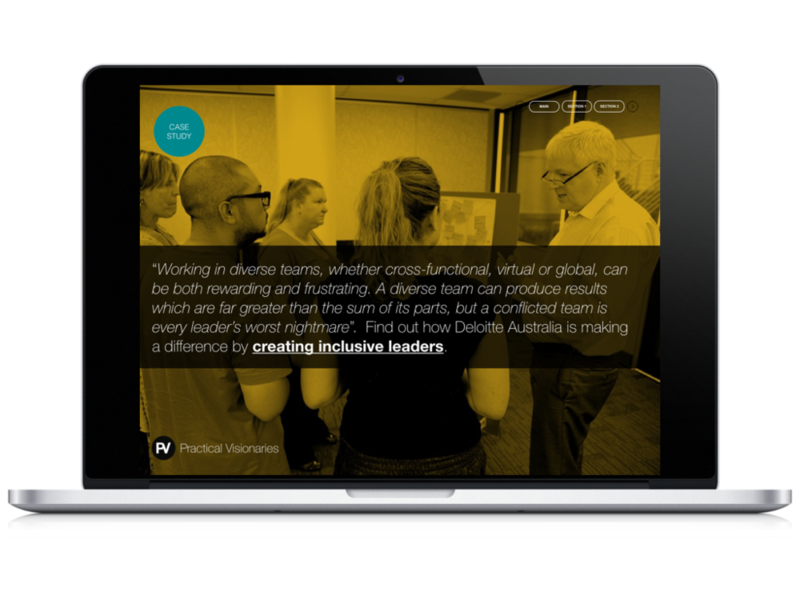 Get in touch to find out how Practical Visionaries can help your organisation innovate for a diverse world.